The bulk carrier LIBEXCEL in Tilbury moving from her berth. LIBEXCEL (17,873 tons gross, 30,176 deadweight) was built in 1969 for Nippon Yusen Kaisha of Japan as NIKKEI MARU NO 3. 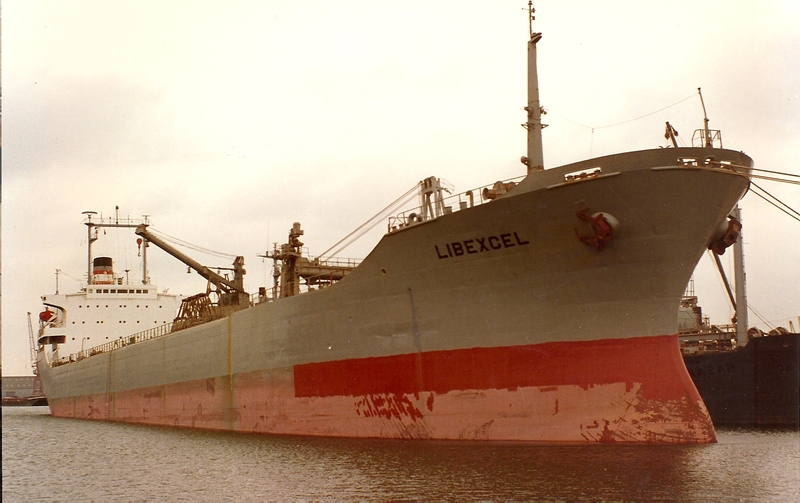 It was sold to Neapolitan Shipping Co, of Panama, in 1983, and was renamed LIBEXCEL. Its managers were Seabulk Shipping, of Piraeus, Greece. The vessel had just these two owners in its 30 or so years career, and in 2000 was renamed EXCEL for delivery voyage to Alang, India, to be broken up.